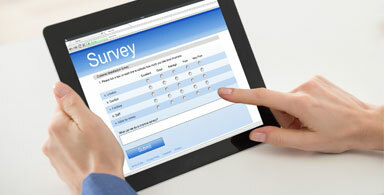 3- Epilepsy Survey results: Test your knowledge by responding to the following question: When does the risk for post-traumatic epilepsy increase? Head injury is a known cause of epilepsy. A number of factors can lower the seizure threshold and result in post-traumatic seizures (PTS). Our quarterly seizure stars are adults or children who have gone above and beyond to raise awareness about epilepsy and seizures, to raise funds for resources and future research, and who have been all-round stars in promoting knowledge in their community. 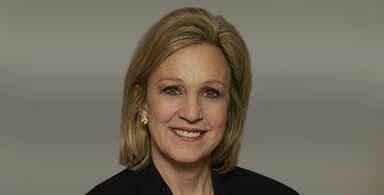 This issue's Seizure Star is Assemblywoman Valerie Huttle because of the incredible work she is doing in advancing the lives of those living with epilepsy in New Jersey. Read all about the bills she has introduced and how these could translate into very meaningful changes for you. Epilepsy Survey results: Test your knowledge by responding to the following question: When does the risk for post-traumatic epilepsy increase? During the past few months, we asked visitors who came by our website (epilepsygroup.com) to test their knowledge by responding to the following question: When does the risk for post-traumatic epilepsy increase? The response choices included: A) penetrating head injury, B) intracranial hematoma, C) skull fracture, D) all of the above. We received 21 votes with the majority picking response d). This shows us that our visitors know their stuff! All three options listed can increase the risk of developing post traumatic epilepsy. Read more about PTE in our feature article above. 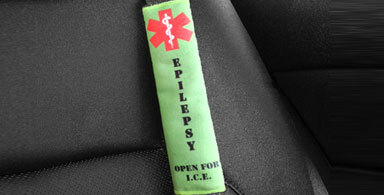 This item is designed to be used on car seatbelts and can alert first responders that the passenger suffers from epilepsy (even if everyone in the vehicle is unconscious). These belts are the brainchild and the unique creation of Susan from "Help Belts" and may prove useful to our readers. 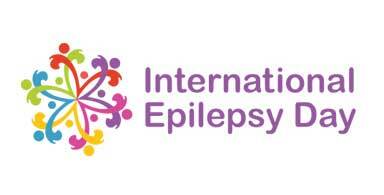 The year of 2018 is looking like it is going to be chock-full of activities that aim to raise epilepsy and seizure awareness. The National Epilepsy Walk is very close at hand and the amazingly fun Glow Walk Run for the Epilepsy Foundation of NJ is coming around October. Our annual Northeast Regional Epilepsy Group meeting is also being organized as this newsletter is being completed. Make sure to read all about them and to mark your calendar to ensure you don't forget about them and make it there in time.